Blog The Most Common Types of Music Publishing Agreements Explained! A Songwriter Split Agreement is something that always needs to be completed when co-writing songs with others. It is essential to minimize disputes between co-writers, but is also usually required by publishing companies, whether you are your own publisher, administer for co-writers or other unrelated writers, or are signed as a writer to a music publishing company. Get the Songwriter Split Agreement template from Indie Artist Resource. 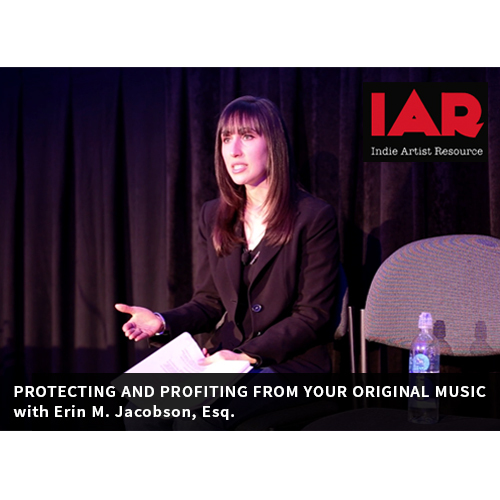 administration, contract, copublishing, Erin Jacobson, erin m jacobson, independent musician, indie, indie artist resource, library, licensing, music, music attorney, music attorney la, music attorney los angeles, music business, music law, music lawyer, music lawyer la, music lawyer los angeles, music publishing, original, placement, profit, protect, royalties, songwriter, songwriter agreement, songwriter split, songwriting, sync, synch, synchronization. Bookmark.